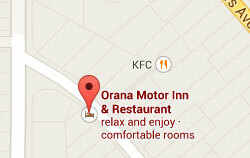 Comfortable rooms encourage you to relax and enjoy your stay. Wonderful food in the restaurant is the signature of our chef and the heart of our hospitality. Free Wi-Fi is there for you in every room via our free wireless internet network, and we also have a computer at reception for free internet access. Relax in the lounge bar or alongside the swimming pool and hot spa, walk through the shops and cafes in town, explore the beaches and stunning isolated places that make the Far North so special. We have a small library of books, magazines and newspapers for you to browse, and a wide selection of brochures on things to do locally. 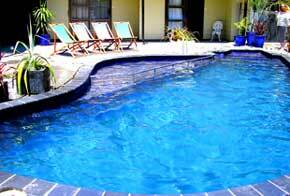 In Northland on business or on holiday, we have the Accommodation to make your stay comfortable and enjoyable. Our Restaurant and Bar serves wonderful food, featuring much of the local seafood, meat, produce and of course the local wine. From wedding and birthday celebrations to that special dinner for two, we do our best to look after you. We have Conference facilities to cater professionally for your meetings, interviews and functions. 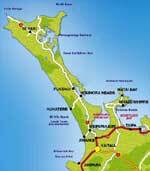 Local activities include exploring the reaches of 90 Mile Beach and Cape Reinga. NZ$300 to $750 will get you a luxury personal tour catered to your tastes, while daily coach tours priced at NZ$45 to $55 for a full day tour including lunch are probably the best value in NZ.